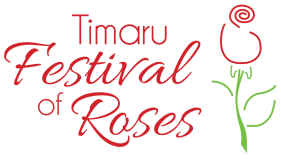 One of New Zealand's premier garden events, the Timaru Festival of Roses is a vibrant and entertaining fiesta of summer, creativity and of course the Queen of Flowers – the rose. Each year hundreds of locals and visitors to the region welcome the beginning of summer and the bloom of the roses during this iconic festival. The Festival combines stunning public and private garden displays, rose themed tours, fabulous floral art creations, children's activities, music, theatre and creativity – all with a huge level of community participation. The Festival attracts garden lovers and creative enthusiasts from all corners of New Zealand and our reputation is such that international tour groups are planning their itineraries (often one or two years in advance) around the annual end of November Festival dates. The entire Festival and in particular the Market Day is a huge community effort with many non-profit groups and service clubs using the event to raise valuable funds. The Festival achievements include winning the South Canterbury 2008 Trustpower Community Awards.